Welcome to the Ultimate Recipe Challenge-Breakfast! hosted by Kim Six of The Kim Six Fix. You will see a lot of breakfast recipes from fabulous bloggers! I love coming up with recipes for my family during the holidays. For the first time, we needed a breakfast that could be eaten on the run, so I made up these breakfast sliders. This is a combination of all sorts of recipes I found on the internet and pinterest. My family was crazy about them but we ended up eating them at the table anyway! These are super easy but a bit time consuming. I got up early that day to get them made. That's probably why we had time to eat at the table, come to think about it! Preheat oven to 350 degrees. Line a 9 x 13 pan with nonstick foil. Cut the rolls in half lengthwise (like a hamburger bun is cut) and put the bottoms in the pan. Take half the cheese and place it on the buns. Take the ham and lay it on top of the cheese. Scramble the eggs in a pan with seasoning. Scoop the eggs and put them on top of the ham. Place the rest of the cheese on top of the eggs. Place the bun tops on top of the cheese. Mix the melted butter and syrup together and pour over the tops of the buns, making sure all buns get some of the mixture on them. Use it all. Bake for 15 minutes or until the syrup mixture is absorbed and the cheese melted. I am all about breakfasts! I seriously could eat it for all 3 meals every-single-day! Brinner is my fave to do - and these recipes look so yummy! Not sure which ones to try first! Breakfast is my all time favorite meal, so these recipes seem right up my alley! Thank you for sharing these :) excited to try one of them out real soon! These sound delicious. I'm always looking for on-the-go breakfast ideas. With a few changes, I could definitely make them gluten free. We love a good slider, I just make some for our New Years Eve dinner and they were a hit. Thanks for sharing. Oh my goodness those sliders sound so good! I especially love that recipe for the breakfast burrito! Can't wait to try it. I love Hawaiian roll bread. This looks easy to make and I definitely want to recreate it! Those look delicious and I am hungry. I will have to make these now to satisfy my appetite. These sound really good. I love egg and cheese and this seems like a good way to make them for a crowd. These all look so delicious! So many to choose from! I pinned it for later! i love trying new recipes! thanks for sharing! 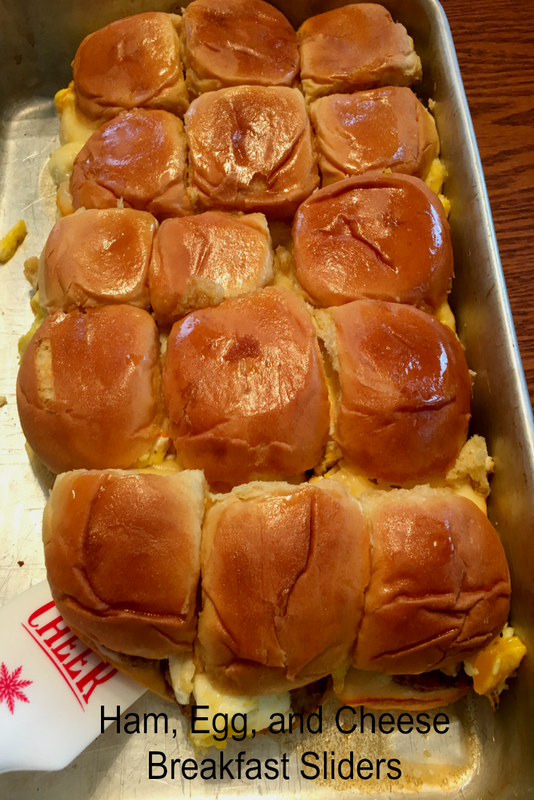 My mom makes sliders similar to these for our get togethers. She just does ham and cheese, and coats the tops of the buns with a sauce that's really good! These sound incredible! I love breakfast food and those rolls! I will definitely have to try this soon! These look amazing and I like that you can make a big batch. I could make these for my boys and they would last for several days, which I love. Thanks for sharing. Oh there are some delicious recipes here to try with my family this weekend!! I love breakfast foods. Ooh this looks delicious! I'm always looking for new breakfast options! My kids get pretty sick of the same thing every day! These look perfect! I often get stuck in a rut with breakfast, making the same few boring recipes over and over until my family is sick of it. These sliders look yummy for switching it up but still keeping it simple. Thanks! Ooh this looks yummy. Super indulgent for breakfast but would love to give this a go. Thanks for the easy recipe! Great idea, Terri! I don't eat ham but can see myself making these with turkey or another kind of meat. This is pretty cool. I'd love to try the sliders but without the cheese because of dietary restrictions. I love breakfast foods. This is a great idea, and I love finding new ways to make breakfast even more delicious! Those recipes look so delicious! Usually I just eat oatmeal for breakfast, but I'm so ready to try something else! Thanks for the food inspo! 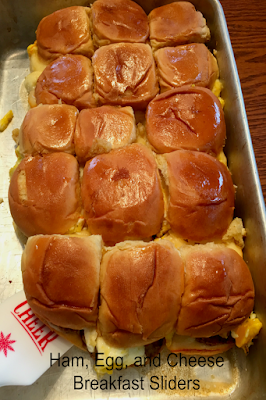 Even though I don't eat meat, I know that my husband and children will enjoy the ham, egg, and cheese breakfast sliders. Thank you for sharing the recipe! These look like those ham sliders with poppy seeds that I have seen at parties but are for breakfast. How awesome! My kids would love these. These look both yummy and practical. Great recipe, I'm pinning now, thanks for sharing!